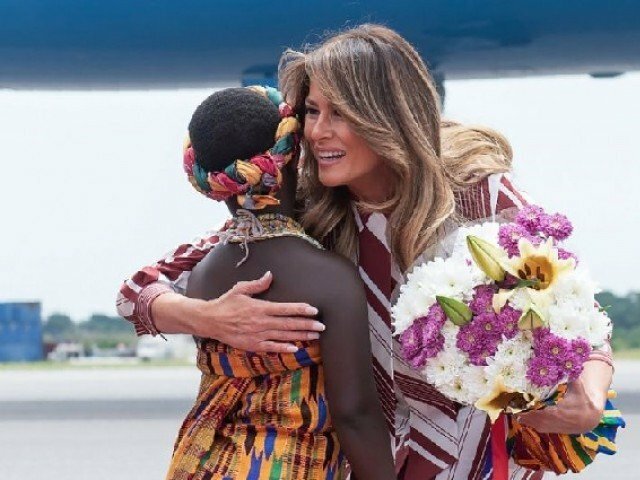 First Lady Melania Trump arrived in Ghana on Tuesday morning (October 2nd) after a 12-hour flight from Washington, D.C. This is the first stop on a four nation visit within Africa. Day one in the capital of Accra, Ghana was spent visiting a local hospital to learn more about local welfare initiatives for children, while also getting the chance to promote her Be Best initiative. According to pool reports the first lady then enjoyed afternoon tea with her Ghanaian counterpart at the presidential palace in Accra. Mrs. Trump is expected to visit Malawi, Kenya, and Egypt following her trip to Ghana. The purpose of her visit is to understand many of the USAID programs, the ongoing humanitarian efforts in the region, and those that work to better the lives of children. Another key purpose of her tour is to promote ‘education, healthcare, and regional tourism’. Africa is a target of key Chinese investment and has become more of a geopolitical focus in the past several years. The first lady is expected to return to Washington, D.c. on October 7th. This entry was posted in FLOTUS, Melania Trump, North Africa, Travel, Uncategorized. Bookmark the permalink. We didn’t see pictures like this with Michell. Marlena? Did I miss something? She is beautiful again. While there she could query them about voter id, which they have. FLOTUS will hear from the First Ladies what those African countries NEED and what they DISLIKE and FEAR from China. I wish more people were aware of what China is up to in Africa. I believe Adolf Hitler had a word for it: “lebensraum” (sp.?) and China needs lots of it – plus all that magnificent coastline access. Speculation: It will surface in 2019 once President Trump has closed Trade Deals with Japan, EU, Brazil and India, and begins to ratchet up the collective leverage on China … leaving African nations a stark choice: Chinese Colonization (Racketeering with the Rogue-State Cabal to plunder their resources and subsume their infrastructure) vs Free-Fair-Reciprocal Trade with 75% of World Markets. She didn’t even flinch when that little boy grabbed her hair. He looked her right in the eye and smiled and smiled. She is just such a breath of fresh air and fills my heart with joy just watching her with children. There is such a depth of love that comes out of her when she’s around them. We are blessed. So blessed she is our First Lady. She’s just GENUINE … and has such a positive, loving, attitude. She would never have to say she was “proud” of something for the first time. Stunning in both looks and personality. What’s not to love? She makes America proud. She rocks those stiletto heels!!! I wouldn’t be able keep my balance without a cart and 2 people walking beside me on both sides, pushing me back the other way when I leaned too far right or too far left. I love her so much. God bless her and Barron and her parents. This can’t be an easy journey for them. Gracious and beautiful. What a wonderful role model for young women. Of course, she is dressed perfectly for the occasion – as always. She does not feel the need to adopt the wardrobe of the culture she is visiting, yet manages to incorporate a suitable fashion in her own style that compliments the people she is visiting. That struck me immediately. At first instant I thought it was regional garb but then realized no, it simply has a geometric print that suggests the regional style. Brilliant. That is much better said than what I’d said in the daily thread. It was a very good choice even if I personally don’t like stripes. She looked relaxed and comfortable in it and changed out of her heels in some rough ground. I agree. Trudeau has been the best example of how paternalistic and offensive that can be. Our FLOTUS is both beautiful on the outside as well as on the inside! She absolutely loves children. I was not surprised by the cute baby boy’s reaction while being held by our FLOTUS. The baby had the biggest smile 😊 in the world. Children know they are around an angel and they are able to show it through their expressions. notice how everybody SMILES and the place lights up wherever she goes. Both Donald and Melania love children. They run to our President and they smile and hug our FLOTUS. Lord, continue to protect them while we try and clean up all the hateful, rabid and unloving creeps in America. that dear little guy in Texas last year that just seemed to glom onto our President, as if that was HIS dad (or grand-dad) . . . and that dear lady who said to him that whenever she sees him on tv, she says a prayer for him . . . Melania was totally glowing, so happy I think that people were lovin’ on him, giving back the love that they see in his heart. At the beginning with the first baby you could tell she just wanted to hold and give her love to the darling, but it just wasn’t meant to be. So I was really happy to see the boy wanting to be picked up, I know it made both of their days. So sweet. It’s a heck of an ice breaker too. Moms all over the world can tell if a person is being sincere when it comes to their child. It doesn’t hurt with all of the other ladies standing around watching, I’m sure most of them are Moms at home too. Our Melania won those women over just by her being herself. What a great teaching moment to our young ones who look up to her. Be yourself always, it’s how you win hearts when your heart is true. Be best. I have so much respect for our FLOTUS, more respect than anyone I’ve known before her in this title. She is the epitome of what a First Lady should be. NEVER underestimate the power of our Melania. She sees everything. Wise and sage. absolutely no conceit or arrogance. it’s as if all of her wealth and beauty and status just seem to recede into the background, and what really strikes us is her natural grace and compassion…and friendliness. I wish she wouldn’t do this. Africa should be quarantined and left to it’s own destiny. Which is Death with a capital D. Always has been, always will be. The only thing I care about in Africa are the animals, and some of them could be transplanted. Africa needs non-corrupt leaders. And frankly, it needs non-corrupt aid agencies. The Clintons were crude pikers in Haiti compared to the way Europeans rob African aid. Having said that, much of the African corruption is cultural. We have inherited a 2800 year history and tradition of the Roman Rule of Law and its descendants. This was imposed on Africa to its and our benefit under colonialism, but it did not take root in the culture, and was often thrown out with the bad aspects of colonialism. When your obligations to distant relatives are stronger than your obligation to some rules imposed on you by some non-relative, your actions will look corrupt from the aspect of those who make and live by the rules. Unfortunately, these behaviors inhibit and suppress the great gains our society has made via a rule of law. And it will hurt us too, if we keep destroying people without the benefit of the doubt and the exercise of just laws like is happening with #metoo and Kavanaugh. 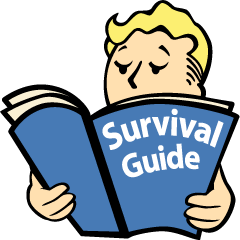 Around the time of the sh1t-hole controversy, someone commented on this forum about their experience in Africa, saying that aid resources – including medical supplies – would simply be plundered by the locals. Their societal mindset is allegiance to their family above all other considerations. The explanation would be “I take this for my family”. At the one minute mark, when Melania held the baby, it was easy to tell that the child knew Melania’s spirit of love. Children (and especially babies) know when they are loved. It is not possible to fool a baby. Her love for children is so genuine, she has a gentle soul. So proud of First Lady Melania! Please excuse my shallowness — I’m a straight, white, middle-aged woman, but this is one of the sexiest photos I’ve seen in a long time. I think it’s because it’s not a blatant reveal. It’s so innocent, but so captivating! Smart Beautiful Super Model turn FLOTUS. What more can we ask for. She’s doing a terrific job and loving it. “Nice gams,” as the Old White Men would say. I never made that connection! Fun Fact of the day. Why do the presstitutes keep using her age? It is dumbfounding! There is absolutely nothing wrong with admiring someone’s body. She’s lovely. Nothing shallow to talk about this natural shot thanks to breeze and her control! Beautiful! Doesn’t it remind Marilyn Monroe like? She’s amazing, the treatment she receives from the media sickens me. They really do hate a woman who oozes grace and poise. The hate from liberals towards conservatives is because we are something they are not. Her happiness jumps off the page. Well done Daily Mail. For once the pictures and the words correspond. If the President has a magic wand, she is it. Oh wow, no disrespect, but Melania is glowing like an expectant mother! Holding babies will do that to any GOOD Mother. Melania is an archetype for the Human Mother. POTUS uses only those that he trust to give a face to face to deliver his important messages, the BB initiative is just a front. Love my FLOTUS! I love the pic with her and the baby. That’s pure “mummy joy” look on her face!!! Now, just imagine Martha Washington or even Mooch in a dress like that! She selects wool and flax and works with eager hands. She is like the merchant ships, bringing her food from afar. She gets up while it is still night; she provides food for her family and portions for her female servants. She considers a field and buys it; out of her earnings she plants a vineyard. She sets about her work vigorously; her arms are strong for her tasks. She sees that her trading is profitable, and her lamp does not go out at night. In her hand she holds the distaff and grasps the spindle with her fingers. Dearest Heavenly Father, Please watch over, protect, guide, comfort and support Your daughter, sweet Melania, as she travels and does Your work, through her role as FLOTUS. In Jesus Name we pray. Thank you Raven, I really enjoyed reading that and it was perfect for this thread. A daughter of religion parents who raised her under the oppression of Communist Russia that controlled her childhood country. It’s such a shame that a woman who exemplifies everything that is the best about America continues to be torn down my the media. That’s my feelings. That is many of our feelings. Well stated. I agree. However, people that do this are covering up their own flaws. is she not a National Treasure????? yes, and she is OUR National Treasure!!!! Lucky, lucky us!!!! What a beautiful person we have for First Lady to represent our country. What she is doing for kids is very important. It isn’t just about nourishing their bodies. Their hearts and minds need to be nourished as well. Thank you God! She is definitely in her element with children, her love is genuine. It is gratifying that FLOTUS has decided to promote good healthcare across Africa. As a former beauty queen, wife of a billionaire as well as wife of POTUS it would be difficult to imagine what health centers in Africa are like from an a office at the Whitehouse; her visit would afford her the opportunity to speak to stakeholders right in Africa. She has got the power and influence much needed to push healthcare issues across the globe. I hope it goes well. She is the best first lady of all time,and she is beautiful !! !